With all the positivity JRPG lovers have been throwing at Nihon Falcom’s way thanks to the superb Legend of Heroes games, it’s easy to overlook the series that put the developer on the map in the first place–an action RPG by the name of Ys. Even more interesting is the fact that while Ys can be credited with pioneering the action RPG genre, a lot of what makes the latest iteration of the series so great is that its style takes so much from games like Trails in the Sky and Trails of Cold Steel all while maintaining its own classic identity. Simply put, this latest work is vintage Falcom. 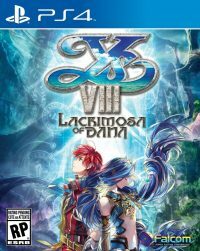 Ys VIII: Lacrimosa of Dana is the latest entry in the often overlooked Ys series. If you’re familiar with the series, the tropes in Ys VIII are hardly anything new. Once again, you take up arms as Adol Christin, the redheaded soft-spoken and self-described adventurer as part of the Lombardia ship crew. In typical Ys fanfare, the ship capsizes, this time thanks to a beast attack at sea, and Adol ends up stranded on the supposedly deserted Isle of Seiren, plagued with its fair share of monsters and mysteries. As basic as all that sounds, Ys VIII‘s plot is actually much deeper than any Ys story before it primarily due to the second main character in the game, the titular Dana. As you progress through Ys VIII, Adol will have dreams and visions of instances happening in the past through the eyes of Dana, the beautiful blue-haired youth dubbed the Maiden of the Great Tree. It’s hardly a spoiler, but players will find that both Adol and Dana share a special connection that affects not only the island Adol is stuck on, but the fate of humanity as well. The game has its share of familiar characters including the heavy drinking brute Dogi (who unfortunately isn’t playable this time around), a popular Ys character who’s joined Adol in many Ys games past as well as other supporting characters that were prominent in the other games. Even with that, Ys VIII is a solid place to start if you’ve never played an Ys game before–in fact, they all are, as each game in the series (except I and II, which should be played in succession) are standalone titles where no previous Ys knowledge is required. That aside, Ys fans should find more than enough to appreciate with the latest offering as it feels both familiar and refreshing at the same time. 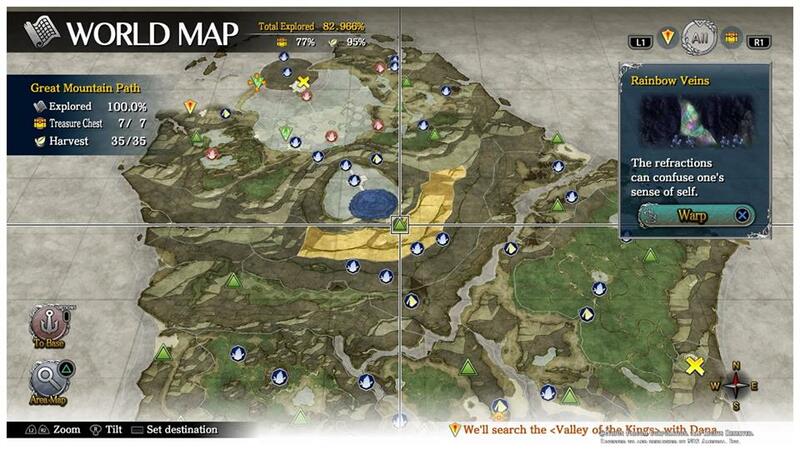 Exploration is a bigger factor with Ys VIII. Since you’re stuck on a seemingly deserted island after a shipwreck, it isn’t long before you’ll find other survivors in places near and far as well as high and low. You’ll also have access to a map that starts to fill itself up as you traverse on the island, and it also marks various points of interest whether they be dungeons or various obstacles that you’ll need to recruit people for to get through. Most of the exploration you’ll do in the game is for the sake of forming a community of survivors called Castaway Village, with its sole focus being to help each other get off the island. To increase the sense of community and camaraderie, each person you end up finding will have some sort of role in Castaway Village (and in typical Falcom fashion, when you meet someone new, the camera will have a close up of their character model from the toe or waist up). You’ll find a doctor who can mix you potions and other healing items, a mother figure who can cook, a seamstress to help clothe you, a blacksmith to make weapons, and so on. You’ll even come across children who are mature beyond their years, as well as a stubborn noble who insists that everybody does what he says, with his entitlement causing uneasiness amongst the group. The Isle of Seiren offers vast areas to explore, which fortunately provide a wealth of warp points to make traveling easier. During the campaign, you’ll also have access to a bulletin board filled with optional requests from villagers that range from simple tasks like ridding areas of enemies or finding specific ingredients for a new type of medicine to more difficult requests like escorting a nun up a dangerous hill to pray. While some can definitely be troublesome, the ability to warp to virtually every save point makes travel less of a drag. At the end of these sidequests, you develop a stronger bond with the villager that makes the request, and you’re usually rewarded with various forms of loot, which you can use to cook or trade. Since money is useless, you’ll primarily be trading resources that you’ll find through both exploration and combat–something you’ll be doing a lot. Battles are fought with a party of up to three people, and you can switch between any of them simply by pressing the square button. You’ll be doing this a lot, as each enemy has a specific weakness whether it be through sword slashes, the piercing of a rapier, or the force of a hammer or other blunt item–each of these attacks being specific strengths by the characters you’ll recruit to your party. Basic attacks are performed with a single button (X), while special attacks are unleashed while holding R1 and pressing any face button. Players can also dodge (L1) and jump (circle) to round out their arsenal. Lastly, high-level special moves can be performed when a character’s action gauge is filled when pressing the left and right shoulder buttons at the same time. This is problematic because you’ll often be alternating between the L1 and R1, and it’s really easy to press them at the same time when you’re thinking about dodging and following up with a special move or vice versa. I’ve mistakenly used my character’s super move countless times, which can really screw things up. It would’ve been better if these were mapped to the L2 and R2 buttons instead. With the amount of monsters there are in the game, you’ll be fighting a lot, so the action gameplay being as responsive as it is makes it a whole lot easier to manage. At the same time, sometimes the action will feel out of nowhere and out of place. Throughout the journey, the Castaway Village community will be threatened by raids of monsters that you’ll have to deal with during the most inopportune times. Called interceptions, these raids have you play sort of a coliseum minigame where you have to kill everything in sight–pretty much a dungeon crawl in a single room, except it takes part in a small section of the island. While completing every interception isn’t required, the game does have a few that are, and they more often feel forced, affecting the overall pacing of an otherwise interesting plot. There really is no reason for these to be so numerous and problematic, especially with the story, considering you have someone as formidable as Dogi defending Castaway Village while Adol and company are out adventuring. As stated, during the adventure, there’ll be sequences where the story flashes back to a different time and place. This is where you take control of Dana, who serves her people as the Maiden of the Great Tree, a title of significant power. As Dana, you’ll be traversing through the main town assisting various commoners with their requests as well as dungeon crawling in order to gain more energy–this game’s word for “magic.” Early on, these sequences feel out of place, but they’re entirely necessary to understand the bigger picture of what’s really happening at the Isle of Seiren. While the game has its fair share of characters and conversations about games past, you don’t need any prior knowledge of Ys to enjoy Ys VIII. 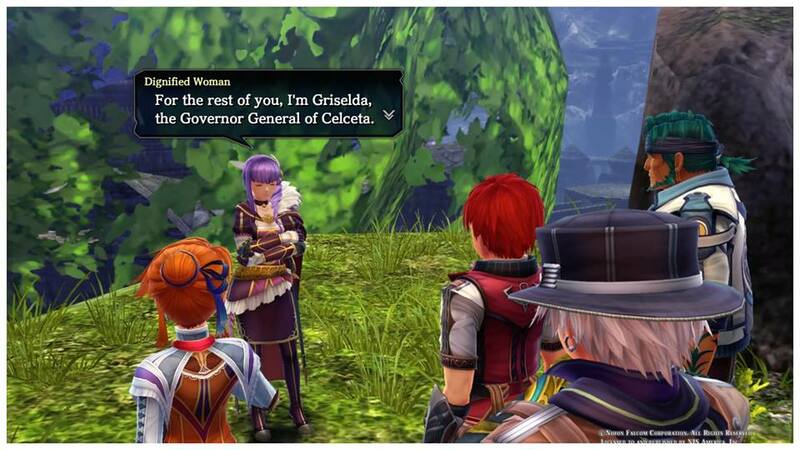 The main issue is that while they happen in a different time and place from where Adol is, each character you come across speaks like any other character, no matter how old they are or where they’re from. Yes, it’s easy to develop a connection with almost any character in the game, but aside from Adol and Dana themselves as well as the mysterious “transporter” Hummel, the game’s dialog doesn’t really make anybody stand out. It’s a strange case where the visuals tell the story better than the writing, but it’s still serviceable. Much has been made in the JRPG community about NIS America handling the localization effort instead of Xseed, who’s credited with localizing and publishing every Falcom game released over the last few years including all Ys remakes and ports on the PC (except Tokyo Xanadu on the Vita), but I think they did a solid job with the time they had. The dialog just left more to be desired, but for what it’s worth–the voice acting wasn’t nearly as cringey as other JRPGs unfortunately routinely make them, which is a huge compliment. 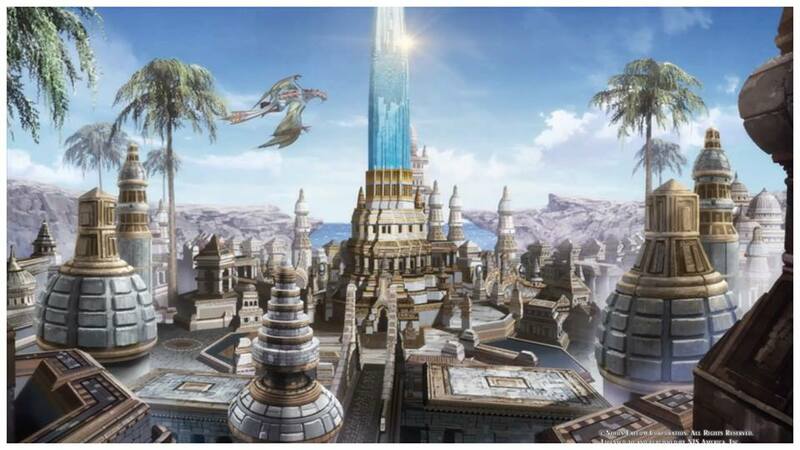 Ys VIII: Lacrimosa of Dana is a prime example of a series staying true to its roots all while adding enough features to make the game appealing to audiences both new and old. While the localization is nothing extraordinary, it doesn’t bring the game down at all, as the storytelling combined with the game’s always exciting combat and whimsical soundtrack makes this 45-hour adventure the best Ys experience yet. It’s another win for Falcom as they continue to churn out quality games and be the envy of every developer in the genre, and we wish them the best as far as this great series gaining more noticeable mainstream attention whether or not there is a Lacrimosa.